Hey there, friends! Sorry the posts have been slim this week, I've got a few things going on with life and that little One Room Challenge thing is keeping me busy... be sure to check in on Thursday to see my plans for the room! Today I'm popping in quickly to share a reader's space with you that I was so impressed with. She loved my Entry so much that she replicated it for herself, down to the almost identical accessories! 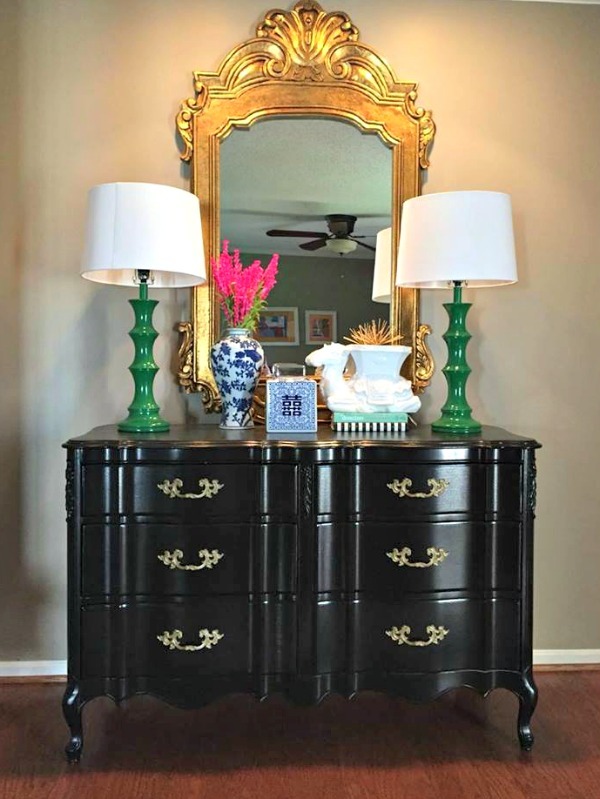 She said she still plans to add gold trim to the lamps like mine and is waiting for a striped rug to come in. She even looked for the elephant plant stand like mine, but they were out so she got the camel (which I might like even more than the elephant, he's pretty cute!). Thank you, Alex, for sharing your Entry with me. I'm glad my home inspired you to create a space that you love, that's why I do what I do! If anyone else has been inspired by one of my projects or spaces, I'd love to see photos from you, too! Thank you for posting this! 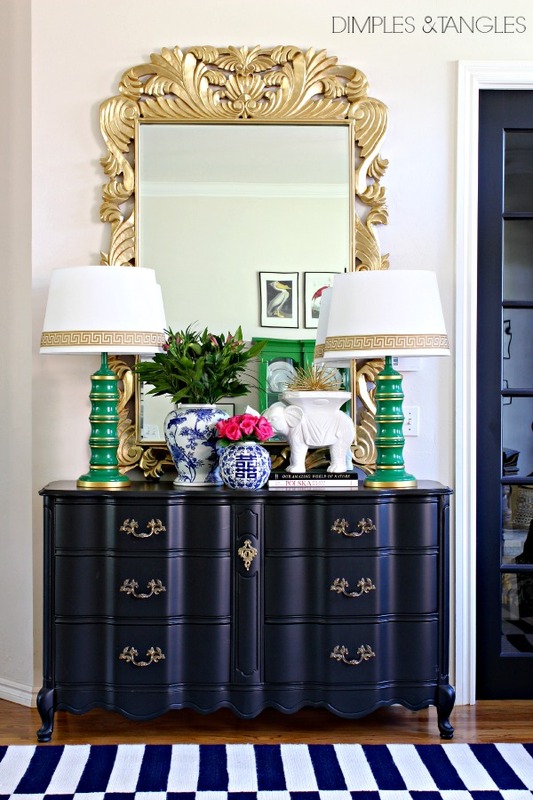 I love your blog and have to admit to referring to it often as I update and style the rooms in my home. Your color palette has inspired me to go with my own colorful style, not try to adhere to the neutral palette that is so popular right now, and to have fun. I had to do a double take! It is almost identical. I used your Pom Pom pillow tutorial to make a pillow and a decorative Pom Pom garland for my niece. Thanks for the inspiration! Hmmmmm.....not sure what I think about the nearly identical entry way! Wow! She did great! I love both of your entries now!